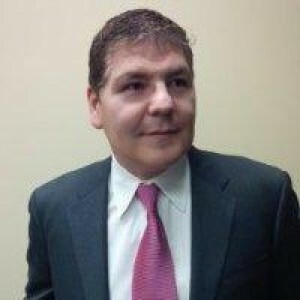 A Chilean-born entrepreneur and technology innovator, Oscar brings a background of 25 years in senior management, marketing, investor relations and sales with a proven pattern of results-focused leadership. Oscar is currently Founder, President/CEO is a secure portal providing an essential utility to the crowdfunding sector, it organizes and manages an organization’s critical corporate information and provides it to selected stakeholders – securely, quickly, effectively and inexpensively. The portal creates efficiencies, reduces costs, lowers risks and enhances communications. Oscar is also a member of the Crowdfunding Intermediary Regulatory Advocates in the USA (www.CFIRA.org) and the co-founder, member of the Equity Crowdfunding Alliance of Canada (ECFA Canada) http://www.ECFACanada.ca. He also sits on the Executive Council of the Midmarket Alliance in the United States (http://www.midmarketplace.com/). As founder and CEO of BabelFish Corporation, a SaaS-based multilingual translation portal, he built and led a team of over 135 individuals in providing high-tech multilingual solutions to 7,600 contractors around the world. Oscar co-founded the Canadian Network of Language Industries and sat on the steering committee of the Language Industry Technology Roadmap – an initiative of Industry Canada and the National Research Council. He was the only Canadian on the United Nations/MIT Digital Nations. Oscar currently sits on the boards of BoardSuite Corp., OSOLOS Ventures Inc., Canada Cloud Network, BluBow, and CorpTropolis Corp., and KorePlatforms Inc.
Oscar was awarded the Vision 2012 Business Man of the Year by the Toronto Hispanic Chamber of Commerce on September 2012.